Fiveways School in Somerset were one of the first schools in the country to embrace the use of eye gaze in the classroom. One year on and they have had some brilliant successes. After a successful school clinic we were able to obtain the funding from The Breakaway Charity to purchase two PCEye Systems and an Ergo from SmartboxAT in the summer of 2012. 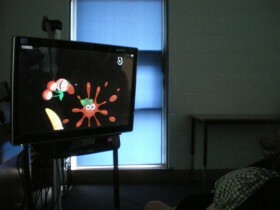 Following the Eye Gaze learning curve designed by Tobii we were able to start work immediately with our pupils. This learning curve has meant we are able to target and track the smallest improvements as it begins with ‘sensory activities’, then ‘early eye gaze’. It has meant we are able to ‘train’ our pupils to enjoy using their eyes to control the computer well before using a communication system. 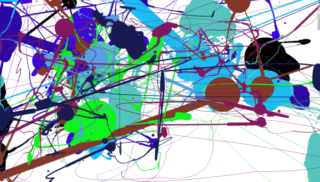 We began by trialling ‘Jackson Pollock’ a painting programme; the pupils’ receive instant feedback by creating their own painting using their eyes. This program is still a firm favourite with our pupils and their parents. In some cases this painting is the first piece of art work their son/daughter has ever created completely independently. We print these off and put them on to cards for special days and even print them onto canvases for a gift to parents. We also began by using software titles such as ‘Target and Touch Patterns/Music’, ‘Mouse skills’, ‘The Grid 2’, ‘Helpkidzlearn’ and YouTube video clips. These activities are colourful, motivating and fun for our pupils. Knowing that our users are ‘watching’ the video clip means that we can be confident that they can watch the whiteboard and the television elsewhere. Fiveways have purchased the Tobii Communicator package and intend using this when any of our pupils are ready to intentionally communicate. Most recently we have bought ‘Look to Learn’, a wonderful piece of software that has all the pre-requisite categories to practise the skills for a communication system. The activities are exciting and the graphics are excellent; this is the new favourite here at Fiveways as there are so many activities to choose from. The most useful aspect of ‘Look to Learn’ is the ‘analysis’ button. After the pupil has finished an activity you can see the ‘hot spots’ of where they have been looking and evaluate whether they are successful at that level. 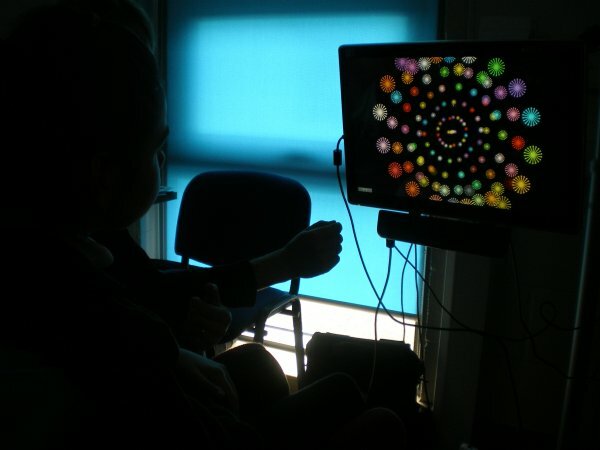 Currently our students use the Eye Gaze systems one to one; they are still learning the basic skills of attending and focussing so less distraction makes for a successful session. Our objective is to begin to integrate the system into the classes during snack time and also during Magic Carpet sessions to begin ‘playing with friends’. Eye Gaze has taught us a lot about our pupils’ visual field i.e. we now know where to position symbols for successful choice making and what angle to feed pupils from. We work closely with our Visual Impairment team to help gather as much information as possible to give our pupils the best learning platform.